Take advantage of our 20+ years' VCT experience and join our investment community supporting small UK companies. Your capital is at risk and you may not get back the full amount invested. Tax treatment is subject to change and the individual circumstances of each investor. VCT investments are long term and high risk. Why invest in a Downing VCT? 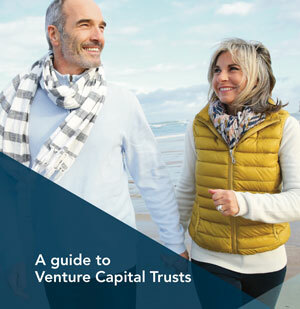 Venture Capital Trusts (VCTs) offer attractive tax reliefs for investors prepared to put their money into higher risk growth companies. VCTs are different from bonds. VCTs are investment companies listed on the Stock Exchange, so when you invest in a VCT you are buying shares in the VCT company itself. VCTs and investments into them also attract a series of tax reliefs. As these businesses are generally considered to be high risk investments, the VCT scheme allows you to claim income tax relief on your investment and benefit from tax-free income and capital growth - provided you hold your VCT shares for at least 5 years. The Government introduced VCTs in 1995 to encourage investment in small, entrepreneurial businesses to help them prosper. Now an established part of the investment landscape, £745 million was invested in VCTs in the 2017/18 tax year. (Source: HMRC). Minimum investment across both VCTs is a lump sum of £5,000 or £500 per month. This generalist share class seeks to provide you with attractive returns by investing in a portfolio of growth companies, at different stages in the business life cycle. This specialist share class invests in companies operating in the healthcare technology, drug discovery, medical services and other health related areas.